Picking a credit card can be a daunting task! There are so many different cards out there, and so many different features that you may or may not even need. This guide is intended to make it easy for Canadians to figure out which credit card is best for them. Every bank and major retailer these days has their own credit card. Personally, I prefer to hold as few cards as possible, but in some cases it is worth signing up for a store credit card, but cancel it immediately after reaping it’s rewards. 1) Why do you want a credit card? You used to need a credit card to make any kind of online purchase. Fortunately, nowadays there is an alternative: a Visa Debit card. I only discovered this a few weeks ago when I walked into my bank and they offered to upgrade my debit card to a Visa Debit card. It offers all the features of the regular debit card, but now allows you to make online purchases as well. If the reason for getting a credit card is you need some extra money, there are much better ways to get some. Consider talking to your bank about a loan, borrow money from a friend or go out and get another job! 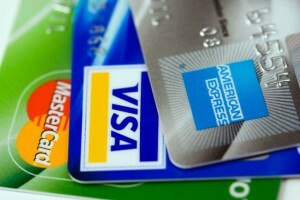 Using a credit card is NOT a good way to get some extra cash as that money comes at a high price! Do you really want to pay $120 to borrow $100? If your main reason is the perks, then this article will be better suited towards you. The main reason I have my credit card is because I get FREE money for buying things I would have bought anyway. I use a TD Canada Travel Rewards card because I like to travel a fair bit, and because it gives me cash rewards that I can redeem towards future travel. 2) Will you pay off the balance every month? If the answer is no, first you need to ask yourself “why not!”? Carrying a debt on a credit card is one of the worst ways to get in debt. They have ridiculously high rates of interest and should only be used to carry debt month to month in emergency situations. If you are buying an item that you can afford (ie. have money in the bank), just use the credit card to reap some rewards that the card offers and pay that card off immediately when you get your bill. If you absolutely have to carry a balance, then make sure you pick a card with the lowest possible interest rate. 3) Which type of credit card do you want? You can get credit cards for many reasons and situations, there are cards to help you build credit, for your business, cash back cards, charity cards, rewards cards, secured cards, student cards and travel cards. Each of these kind of cards are tailored to how you plan to use your card for the majority of the purchases. 4) Which features are important to you? Also, if you are travelling a lot, sometimes it is worth getting a card in another currency so that you don’t lose lots of money to horrible Canadian bank exchange rates. Other cards are better for purchases on products that carry warranties. These cards can offer price protection, and an extended warranty. Finally, some cards are all about convenience. These are cards that offer features like PayPass and priority restaurant reservations. 4) Do you mainly use your card for filling up at the gas station? If so, you might want to consider a credit card from a gas station. Most gas stations offer cards that get you a few cents off per liter at the pump. If you don’t pay the card off every month though this is just a waste as you will end up paying more for your gas. 5) How much do you spend on your card annually? If you are spending over $10,000 per year on your card, sometimes it is worth getting a card with higher rewards rates. You pay a bit upfront, but get more features and reward earning potential. You will need to do the math for your card to see if this is right for you. Now that you have answered some basic questions, it is time to pick the best card. To do so, I recommend using a credit card comparison tool. There are several sites that compare cards well, but my favourite would have to be rewardscanada.ca. This site is more tailored towards rewards cards and I recommend starting on this page to find the card that is right for you. Redflagdeals.com also has a good comparison tool, but I feel the site above goes into much more detail about the card rewards. I hope you find this guide useful, and if you have any questions about Canadian credit cards, please leave them in the comment section below.